The GGW Education Pyramid includes four individual conferences that focus on business skills and personal growth. All classes are offered via scholarship, meaning no charge to the individual or their employer for the programs or courses. The pre-requisite requirement for application for all classes is a minimum of three years employment experience in the gaming industry. Although the courses are without charge, there may be associated room or travel costs that the applicant or applicant’s organization may need to incur. The applicant selection process is done by an independent subcommittee, of the Education Committee, which weighs the background of applicants, company and job diversity in the selection for each class. Emerging Leaders Criteria for Attendance: Any woman in gaming, hospitality, or related industry not in a management role and interested in developing knowledge, skills and abilities. Any woman in gaming, hospitality, or related industry for a minimum of 1 year in a supervisory or first level management position. Part of this class promotes building relationships with others in your area at these regionally based conferences. The class is offered in our Eastern, Midwest, Southern, and Western regions each year. Any woman in gaming, hospitality, or a related industry for a minimum of 3 years in a Manager role, responsible for a shift, or area of responsibility that is not the most Senior Management position in their area or department. 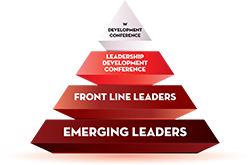 The 3rd level of the learning pyramid is the Leadership Development Conference which takes place regionally throughout each year. The four regions to choose from are Eastern, Midwest, Southern, and Western. Any woman in gaming, hospitality, or related industry for a minimum of 5 years in a role that is the most senior in their department, area of responsiblity or organization. In addition, specific subject round table discussions are presented by current C Suite executives in gaming, hospitality and supporting industries. These presenters share their knowledge and take questions from participants. Areas of presentation vary year to year and can include; professional development; legal and human resources; gaming operations; resort operations; information technology; and marketing. Meet the top women in our Industry and learn how they have succeeded. In addition, you will have the opportunity to meet and dine in an intimate setting with established senior executives in the gaming industry. As our final “Educational Opportunity” through GGW, you will have the opportunity after graduating the W Conference to ‘Pay it Forward’ and put what you have learned into practice for the benefit of others and for your own satisfaction. The bracelets signify the growth and learning through the classes and provide a discussion point for others when they are worn. The five bangles represent the GGW logo, and the four playing card suits: diamonds, spades, clubs, and hearts. Three of the bracelets are inscribed with GGW’s core values: courage, leadership, and integrity. At the conclusion of each of the Education Committee pyramid class, the graduates are given a GGW logo bracelet to signify success, and one to four other bangles depending on the pyramid class level. Since not all women will take (or need) all classes, the goal is that as women graduate the W Development Class they will have earned, or will then receive, the five bangle bracelets. However, we believe each woman should have a minimum of two bangles to illicit comment and conversation about the bangles. In addition, a set of bracelets is given to a woman who has volunteered on a regional committee for two years. These committees are the reason GGW has been able to offer so many classes throughout the US. 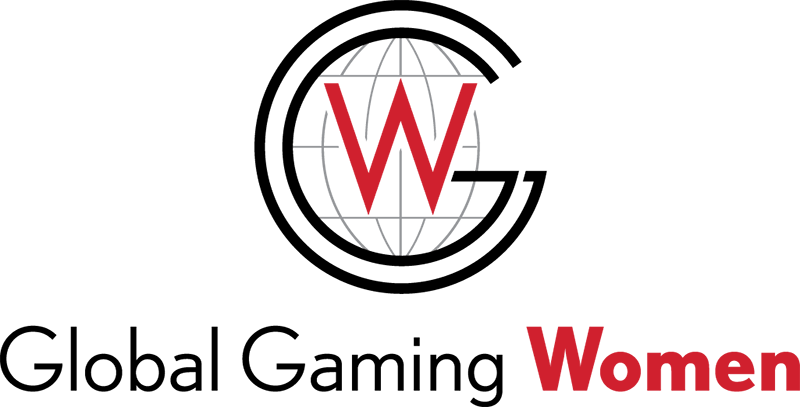 Of course, many of the W Development Program graduates serve on the regional committees and they have already earned the five bangle bracelets. © 2019 Global Gaming Women. All rights reserved.